The HGCA is a non-profit, volunteer member, community association located within the Hamlet of Hicksville on Long Island, New York. The object of the HGCA is to promote good fellowship and a spirit of cooperation among its members and to provide a means for the interchange of ideas and information concerning civic and community affairs. 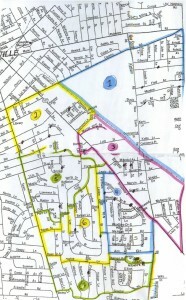 The area of representation of the HGCA includes all residences south of Old Country Road, west of South Oyster Bay Road, east of Jerusalem Avenue and north of Bloomingdale and Scooter Roads.